Completing your continuing education by your renewal deadline has never been easier. We have compiled the best courses for Tennessee Real Estate agents to help you not only renew your license but to learn the latest in real estate market trends so you can be successful. This complete package includes all 16 hours of CE required for active license renewals. This package includes 10 elective of the total 16 CE hours required for active license renewals. Satisfies the 16 hour Continuing Education requirement for Affiliate Brokers and Brokers in Tennessee. Tennessee Core Course 2015-2016 - This mandatory TREC Core Course explores the topics of TREC law, rule, and policy updates, agency, advertising, contracts, property management, disclosures, principal broker supervision and license recognition. Short Sales and Foreclosures - This course discusses short sale transactions, short sale alternatives, the Home Affordable Foreclosure Alternative (HAFA II/Short Sale) and Home Affordable Modification Program (HAMP Tier 1 and 2) program, and the impact of short sales on buyers, sellers, and lenders. This 6-hour course focuses on the most prominent issues currently facing Tennessee residential real estate professionals. To assist licensees in identifying and resolving these issues, we explore the laws and rules, while offering numerous real-world examples. The course also addresses important updates to Tennessee law, and the rules and regulations of the Tennessee Real Estate Commission (TREC). To ensure that licensees provide excellent representation for their clients, while at the same time following all applicable laws and treating others fairly, it's essential that they possess a solid understanding of the TREC rules. This course includes a detailed look at these rules, with a focus on newly adopted provisions, the latest regulations for advertising, and an in-depth look at the principal broker’s responsibility in supervising affiliated licensees—just to name a few. Moving forward, equipped with the practical advice found in Tennessee 2017-2018 Residential Core, licensees will be well-positioned to provide timely advice and superior representation. Detailed explanations of recent changes to Tennessee license law and TREC rules. 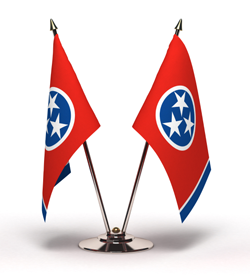 Tips on how to avoid violations of Tennessee's agency law. A close look at the advertising rules that apply to real estate, including the recent updates to these requirements. A discussion of the rules that apply to property management. A look at the responsibilities and duties of all principal brokers. Activities and examples to showcase real-world scenarios and seal in the material. This mandatory TREC Core Course explores the topics of TREC law, rule, and policy updates, agency, advertising, contracts, property management, disclosures, principal broker supervision and license recognition. This course is intended to prepare Tennessee licensees with basic knowledge of Rule, Law and Policy changes enabling them to experience smoother transactions and have satisfied consumers. Ethics in Real Estate covers the NAR Code of Ethics and reviews case studies pertaining to the code. Sample scenarios are included as a decision making practice for licensees. This course will insure that real estate professionals have a strong understanding of the National Association of Realtors ® (NAR) Code of Ethics and understand the difference between ethical and unethical behavior.